Well, here goes my last post of 2008. A closing prayer for the year that was on my heart since this morning. I welcome you to pray it as you read it. Father, thank you for this past year. Thank you for the gift of life in 2008. Thanks for your faithfulness shown in many ways all around the world. Thanks for the many simple signs for your faithfulness and might...like the 365 times that the sun rose and set this year. Lord, even though this year was full of pessimistic reports in our world, you are a great God and the giver of good gifts. Help us to keep focused on what is eternal, not the temporal mess we may see sometimes. Our God, tonight we give you praise through our struggles, rejoice in you, trust your plans, and we know that in our weakness, you are made strong! Thank you for 2008! We praise you for all that you did in our lives and our world! And now, our King and Friend, we place this coming year into the hands of the one who gives us life and breath. We submit to your leadership, long for your love, desire your will, adore your name, believe in your son, and yearn for your spirit's move in our lives, your church and your world this coming year. God, we ask that this year be a year of healing, hope, restoration, victory, justice, peace, and favor! And, Lord, as we see those things, may we be careful to give you all the glory. So, Lord, take all of me, all for you! Through Jesus, our Savior and coming King, Amen. I know I am posting a lot today, but we are stuck inside in a snowstorm (slightly bored). As we were sitting here hanging out, my wife informed me that she read 67 books since March. Yes, you read that right. And the books she reads average about 500 pages each. If you are doing the math, that is about 33,500 pages of reading in 10 months! She loves reading...obviously. But, the crazy thing is that she was a reader when she was a kid and a teen, stopped when she left for college and then started again in March of this year. So, from my perspective, she went from a non-reader to a mad-reader overnight! Crazy amount of books! For the record, I read 1 book for every 10 she reads. I just came off of a "no-internet" morning (which I have been doing a lot more of recently). This is when I work from a Bible and a Word document and let the Lord speak as He wants to. And as I listen, and think, I write and meditate. I am finding that more of my heart and God's heart come out in my messages when I am not online. Hard to explain. 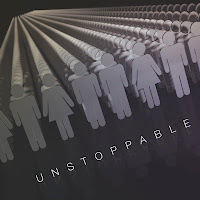 Well, this morning I worked on the upcoming vision series, "Unstoppable". I was able to get pretty prepared for this Sunday and even start preparation for next week as well. I am officially really excited about these next 2 weeks!! I feel God inspiring me with new clarity and new passion for a vision that was cast a couple thousand years ago. More Sunday. Launching our NEW CCF Website! Well, we are here safely in Albany, NY. Cool to see piles of snow along the roads. Since I am just a few hours from Canada, I thought I would share this funny short video clip with you. You'll get a laugh. I Need You to Survive! Man, I am feeling this video! My Brother in Law, Randy loves gospel music and when he finds a good one, he punts it to me. I love this song. Simple words, fatty fat key changes. By the way....Let me go on record saying that...I LOVE black gospel choirs. I am not saying I dislike white choirs, but....ok...lemme stop. Bye. Here is a link to check out the video on my sister-in-law's blog: CLICK HERE! She lives in East Greenbush, NY where Tricia grew up. They are getting hammered with snow this winter and they get to do what I love...donuts! Driving up Sunday after church to spend New Year's with them. I hope we see some of the white stuff. If so, donuts will be happening. Merry Christmas from the Little Drummer Boy! Awesome Christmas Eve service last night. Bishop Glenn brought the most profound while simple message I have heard in a long time. The Word became flesh and dwelt among us. Jesus came to live among us, be in our neighborhood and speak our language. He did not avoid us afraid we would corrupt him, he came among us convinced he could transform us! Yes! Love it! Today was so special. Nice, relaxing morning, spreading the gift-giving out over 4 hours. 2 year old kids need a play break between every 2 toys. Lots of homemade gifts exchanged among the family this year. Cool stuff. We then spent the afternoon and evening at Mom and Dad's. Good times. After cleaning the house up and organizing gifts...Davis is in bed and Tricia and I are spent. We're next. For the whole bed thing. Don't let the excitement fade...Merry Christmas! I told Tricia yesterday that I feel like with every passing Christmas, I experience less of that uncontainable excitement I felt as a Kid. I remember counting hours until Christmas morning would arrive. I remember not being able to fall sleep the night before and contemplating just staying up all night. I can recall waiting at the top of the stairs with my brother and sisters anticipating the green light from Santa and Mrs. Claus that we could "come on down." Man, even as I am writing this I feel that feeling again. Of course, Tricia was sad to hear that I am not excited for Christmas...which I quickly corrected and said "I am not AS excited as I get older." I am a Father and I will get to give my son things he will enjoy tomorrow. I will get to see my child smile tomorrow. I get to wake up tomorrow morning and say good morning to one of the greatest gifts that I have ever received outside of salvation...my dear wife, Tricia. I will wake up in the morning in a warm home way nicer and way bigger than I deserve. Tomorrow, I get the joy of knowing that all of my siblings are spreading the love, traditions, and memories that we learned when we were young to their kids. What a multiplication of love that was invested in us as kids! I get the privilege of spending Christmas with my parents tomorrow. I don't take that for granted. And now that I am a Dad, I can at least start to imagine the joy that they must find in seeing and enjoying their kids and their kid's kids. But above all of that, I am most excited when I think of all that Jesus means to me today in comparison to when I was a little boy waiting at the top of the steps. I have loved Him longer. I have seen more of His faithfulness. I have heard His call. I have watched Him work in His church. I have known his provision. And tomorrow, I get to wake up and celebrate the birthday of Friend like I have never had or will never have! Happy Birthday, Jesus! I love you! And I AM excited! 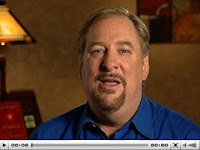 As you probably heard, Rick Warren was asked to give the invocation at the presidential inauguration next month. After that announcement, the media kicked in to full fury surrounding that decision. 1) Rick re-states his long-held view on the Biblical definition of marriage. 2) Secondly, he discusses civil rights and why he believes no American should be discriminated against. 3) Rick discusses why he accepted the invitation to the inauguration. He also talks about how he will respond to the many attacks and accusations appearing in the news, and why it is vitally important to return love for hate. I love Rick's heart and respect his Leadership. If you take the time to watch this, I would be interested in what you thought? I sure hope that you and your family and friends will join us for a special 1 hour service at CCF tomorrow night. This candlelight service will start and 6pm and end at 7pm. We will sing Carols and hear a reflection out of the Scripture from our new Bishop, Glenn Kauffman. Won't you come? Found some interesting things tonight. Does not take me but a second to share the links with you. Thought this was profound. Top 10 Predictable Times for Conflict in you Church. We have been through 8 of the 10 in the last 4 years! Wow! Shows how good God has been and how bad we could have been! CCF has done so remarkable adapting to change! Click Here. Mark's post today was soooo simple, yet so refreshing. Read it here. This one made me laugh today. Sent it to our finance folk for a laugh. Click here to read it. You would be surprised the types of strings people attach to what they give to the church. That's why it is better to give to GOD! I have had growing respect for what I see in this leader, Mark Beeson. I am finding his blog to show his steady and accurate theology and his pastoral heart. I really like him. I'd like to meet him one day. This post is the most emotional I have seen him be...but I like what he says!! Click here to read it. And this one particular church is the coolest church on the planet. Click here to visit it's site! The Skins won yesterday! Yes! It matters not (no playoffs for them). But, yes anyway!! In the office today. Meetings, tasks, admin catch-up and organization. Dedicating tomorrow to Sunday's message. Want it ready to go before Christmas Eve! As my brother often says, we have a deadline that comes faithfully every 168 hours! So true. Looking forward to honoring and announcing some exciting stuff about our finance department at CCF in our service this Sunday. Great things taking shape all over the place at CCF. Still not done developing Entry Point. This may be one of those "work til the last minute" things. I just keep wanting to improve it. Planning to launch it mid-January. OK, lemme run. I think this is one of those days that I would rather blog than do other stuff! Do not let the cultural realities of Christmas hijack the spiritual realities! Remember the gifts that matter most! I think that the economic temperature of our day is assisting many families in zeroing in on what Christmas is really about. They just cannot make it about the huge stack of gifts. They do not have the money to. This birth in Bethlehem 2k years ago was the manifested initiation of God’s master plan for humanity. To Him be the credit and the glory and the praise for this event! This is God's story! He is the main event! If you find yourself thinking that you are JUST YOU...normal, nothing special, usual, ordinary...Be very careful! God is really into using these types people. He prefers to chose people based on their faith, not their fame. He uses fisherman and little bothers. The blind and the crippled. Shepherds and hotel employees. Carpenters and teenage girls. I think that God wants to use you to do those 3 things for your friends, family, colleagues and classmates! I will be praying that God sends you an angel to convince you that he really is inviting you to partner with Him!! I LOVE to organize things! Organizing my garage today was a BLAST! Even fired up the ole John Deere and drove it up and down the street. Purred like a kitten. I looked like a fool, I'm sure. 3 Men and 2 babies went shopping this morning. Wish you could have been a fly on the wall. I used to sing in church. I gave that up to speak in church. Kinda required for my role. I would sing more, but I do not feel comfortable doing it too often....hard to explain. So, I sing once or twice a year. Tomorrow is one of those days. Excited about service tomorrow. Planned a 10 minute meditation entitled "The Extraordinary Potential of the Ordinary." Planned for 10 minutes....which means I will talk for 20! Church offices are only open 2 days this week. Gotta get er done Monday and Tuesday and then, it's Christmas Time! Love you and hope you have had a great weekend so far!! We own about 18 acres here at CCF (5.5 that our building is on and a 13 acre plot bordering us to the back of our lot). We tried to buy it last year. They aren't making new land, you know. After negotiating and discerning, we did not feel like the price or the time was right for us. We kind of hoped it would stay available, the price would drop and then we would buy it. We could REALLY use it for parking. Found out 3 weeks ago that it was under contract to another church. Found out today that it settled. Saw a church van parked in front of the lot on my way back from lunch today. On the side it said "Christ Dominion Church of God". I asked to be dropped off there. I approached the van and introduced myself as the Lead Pastor of CCF. Turns out it was the Lead Pastor of Christ Dominion and he was meeting people there to pray. The man's name is Pastor Mike. He is a Nigerian Brother. His smile was warm, his spirit was full and vibrant, his heart was blessed to meet me and he oozed the joy of the Lord. WHAT A NICE MAN!!! I hopped in his van, we rode up to CCF and I gave him a tour of the property and building. The entire time he kept graciously thanking me and the Lord for this divine appointment. He said that the Lord had laid us on their hearts and that somehow we needed to connect and that God was going to stir a meaningful relationship between us. At the end of the visit he insisted that he lead us in a prayer of thanksgiving to the Lord for meeting today. He prayed the stinkin' house down! Period! In his prayer he prayed that through our Churches, MILLIONS would be reached. He prayed that through our ministry we would reach Africa and Asia. Now, he is talking my language. Africa and Asia are the 2 continents that we have been feeling a draw to in missions. Not sure where this relationship will lead. God is in control. But, I know that something clicked in 2 Pastors today. Something started. My slight frustration that a church was building in our front yard turned to joy today. Remember this day. God has a plan, we are on His journey and all things will happen in His time. Take a moment to read Luke 1:46-55. Here it is the King James Version. As you read it, remember that this is Mary's song of response after learning that she is going to carry and give birth to the Son of God. Not your everyday news. But, read Mary's response. Check out the lyrics to her song. 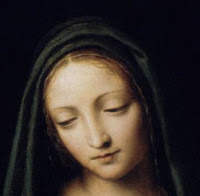 Know wonder God chose Mary! She may have been an ordinary gal, but she had extraordinary faith and usability! What about you? Are you ready for God to use you for an awesome task? 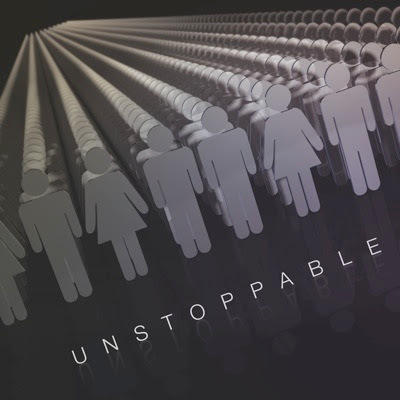 Be in church Sunday as we unpack this more in my mini-christmas-message "The Extraordinary Potential of the Ordinary"!